Class A Driver Jobs in Austin TX | Platinum Drivers Inc.
Find CDL Driver jobs in Austin and find class A and class B drivers for your available positions. Platinum Drivers works with businesses and drivers to find ideal candidates for open CDL jobs across the country. With commercial driving positions organized in one place, we help you fill openings faster and we help drivers find the jobs they are looking for. Professional, experienced commercial truck drivers are in high demand with many transportation and distribution companies. We match businesses and drivers with immediate openings, providing drivers with a variety of work to choose from and giving businesses access to candidates looking for driving jobs. We forge long-lasting relationships with both businesses and drivers, providing all parties with a simple, straightforward experience. Our goal is to fill open positions with the right drivers and make the experience fast and easy for everyone involved. When you have open positions you need to be filled immediately, you don’t have time to search through resumes and backgrounds of a hundred possible drivers. You also want your merchandise to be safe and you want your truck to make it to its destination on time. We understand how important it is to find an experienced, professional and reliable driver for your transportation needs. Whether you are looking for a local driver to transport goods within the city or around the state, or you need a long-distance driver for items making an extended trip, we can help you find licensed and certified professional drivers to make the trip. We have drivers that are experienced in many different positions, including flatbed jobs, dry van jobs, truck driver jobs, delivery driver jobs, yard driver jobs and much more. To make sure the driver working with you is reliable and professional, we conduct background checks and check all certifications. You can be sure your items are safe and your goods arrive on time while keeping up with tight deadlines. We do the background work so you don’t have to and give you a pool of reliable CDL drivers to choose from in any situation. Our drivers are licensed to operate many different types of equipment and are ready to travel the distances you need. If you need a driver to transport wide, heavy or over-sized loads, or carry specialized equipment or materials, we can help you find the driver you need, even on short notice. Our system is quick and efficient, and our background and experience checks are thorough. You can spend more time working on your business and the things that are important to you and let us find drivers for your open jobs. Finding consistent work in commercial driving can be difficult. Instead of applying with companies all over the country and sorting through application after application, Platinum Drivers make the process easy. Companies list their open positions with us, and we find drivers with the right certifications and experience. 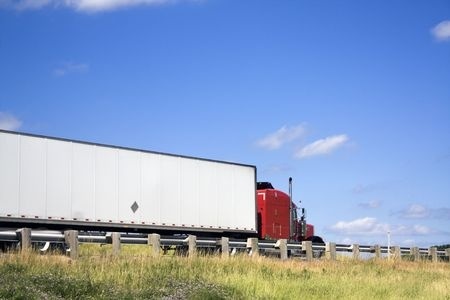 If you are an experienced CDL driver, there are businesses looking for people with your skills right now. If you are new to commercial driving, we can help you find positions to boost your resume and expand your career. Businesses are looking for class A and class B drivers with experience of all types. You can build a successful career in commercial driving as well as the lifestyle you want. Choose the work that fits with your schedule and your lifestyle. You can be home daily and choose local or regional work according to your needs, certifications, and experience. If you are ready to take on more responsibilities and expand your career, we can help you gain new certifications to handle more equipment and take on more jobs. The businesses we work with are in need of reliable drivers with experience, who are willing to work, and they are willing to work with you. Reliable and consistent work is available for you with top transportation, distribution and other businesses across the country. We keep your certifications, background information, experience and other employment attributes on record so companies looking for commercial drivers can easily find you and see that your experience meets their needs. This also allows you to take on more jobs and find work faster, with less downtime. With many different jobs and types of jobs available, you can pick out the work that fits best for you, while keeping a full schedule. You can spend time with your family in the evening and work during the day or take on long-distance jobs if you prefer. Learn more about Platinum Drivers and fill out our online application to list your skills and see the jobs that are available in Austin. If you are looking for reliable, professional drivers in the area, see our customer section or give us a call and we will provide you with more information.